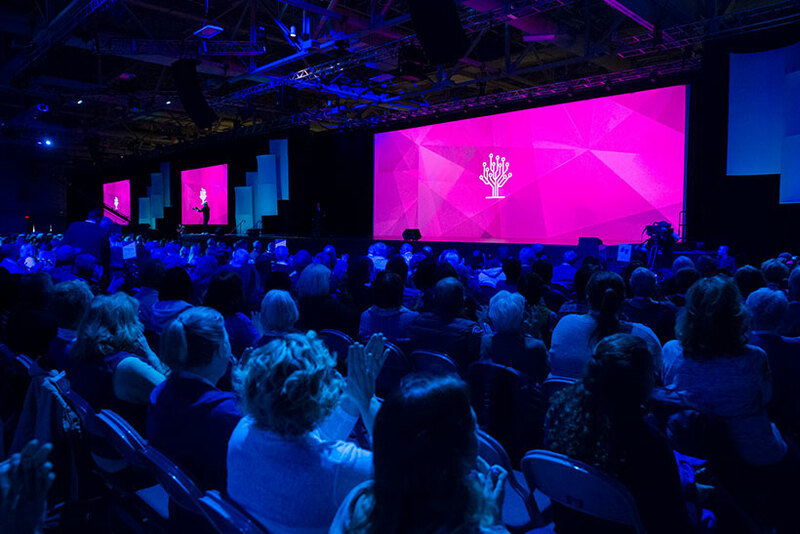 Unable to attend RootsTech 2019 in Salt Lake City this year? Don’t worry! Many of the sights and skills from the conference will be streamed live on our home page! Join us starting Wednesday, February 27, at 9:30 a.m. MST to hear from popular speakers such as Diahan Southard, Kenyatta Berry, Crista Cowan, and Blaine Bettinger. General sessions featuring keynote speakers will also be streamed. Join the conversation happening on social media using #NotAtRootsTech. View the free streaming schedule below. All times are Mountain Time Zone. Ron Tanner of FamilySearch International reviews the latest features and capabilities released on FamilySearch, their value, and why the changes were made. See the future of FamilySearch. Myko Clelland discusses the numerous digitized collection of millions of pages of local and national historic newspapers, covering 300 years of history from every county in Britain and Ireland. Get the full scoop with the Findmypast vast collection, and discover how to make the most of the stories contained within this huge resource. Steve Rockwood, CEO of FamilySearch International, will be the featured keynote speaker and will explore the connections that come through genealogy. Entertainment will be provided by the world-renowned a cappella group The Edge Effect. In this power hour session, Luana Darby, Valerie Elkins, and Anne Teerlink explore how to make a successful transition from hobbyist to a career as a professional. Learn about the importance of diversifying your talents, and discover the ways to earn income as a genealogist. Join Trish Melander, and explore the German Church records that are now being published on FamilySearch. These are records rich in centuries of history and contain baptisms, marriages, burials, and even confirmations. Nobody knows family quite like Emmy award-winning actress Patricia Heaton. Known for her humorous roles as a typical American housewife in big hit television series’ like Everybody Loves Raymond and The Middle, Patricia has won many prestigious awards and the hearts of television viewers worldwide. Don’t miss this opportunity to watch one of the most recognized actresses in the world tell her story in person—a story that perfectly illustrates what it looks like to follow your heart, exercise faith, and persist until you achieve great success. Join Crista Cowan, and preview Ancestry’s cool new tools that are geared to improve and accelerate your family history research. How will the everyday stuff, the documents, and the heirlooms be passed down in your family? What can you do now to make sure the important stories are protected so that they can inspire future generations? Janet Hovorka will share a few simple steps that will help you determine what is most valuable and how to best preserve it. Despite the best of intentions, many family history researchers make incorrect assumptions about records that don’t quite fit. Kris Rzepczynski will explore false assumptions, revisiting those mistakes, and the family history discoveries that may await. In family history, it’s easy to overlook ourselves and the generations we know because we don’t feel like history! But you are a part of your family history. In this Power Hour, Curt Witcher, senior manager of the Genealogy Center, will show you why putting yourself into your family history is so important (along with the science to back it up!). Amy Johnson Crow, author and host of the Generations Cafe podcast, will show you how you can include yourself without getting overwhelmed. Scott Fisher, host of the Extreme Genes radio show, will show you interview techniques to get more (and better) stories. Join Valerie Elkins, and learn how to find your Japanese ancestors in Japan. Discover how to obtain your family’s vital records from Japan and climb your family tree. Japanese are wonderful record-keepers, but accessing those records can be challenging without knowing how to proceed. Amy Johnson Crow explains why having a research plan is more than making a to-do list. See how having a good plan is essential to making progress in your research and making it less frustrating. The following classes are being recorded (not live streamed) during the conference. Recordings will be posted shortly after RootsTech 2019 concludes and will be available in the video archive. Presenters: Valerie Elkins, Laura Hedgecock, Sharleen Reyes. This session will be recorded and available to view on demand after the conference. Presenter: Devin Ashby. This session will be recorded and available to view on demand after the conference. Presenters: Susan R. Miller, D. Joshua Taylor, Frederick Wertz. This session will be recorded and available to view on demand after the conference. Presenter: Alison Taylor. This session will be recorded and available to view on demand after the conference. Presenter: Janet Hovorka. This session will be recorded and available to view on demand after the conference. Presenters: Scott Christensen, Alan Morrell. This session will be recorded and available to view on demand after the conference. Presenters: Nicole Dyer, Jana Greenhalgh, Olivia Jewell. This session will be recorded and available to view on demand after the conference. Presenter: Penelope Stratton. This session will be recorded and available to view on demand after the conference. Presenter: Peter Krogh. This session will be recorded and available to view on demand after the conference. Presenter: Christine Woodcock. This session will be recorded and available to view on demand after the conference.